International Coalition for Drug Awareness, Author: Prozac: Panacea or Pandora? – Our Serotonin Nightmare & Withdrawal CD: Help! I Can’t Get Off My Antidepressant! Ann Blake-Tracy has specialized since 1990 in adverse reactions to serotonergic medications such as Prozac, Sarafem, Zoloft, Paxil, Luvox, Celexa, Lexapro, Effexor, Serzone, Remeron, Pristiq, Anafranil, Fen-Phen, Redux and Meridia as well as the new atypical antipsychotics Zyprexa, Risperdal, Geodon, Seroquel and Abilify (all antidepressants), and also pain killers and the new menopause medication Brisdelle, which is nothing more than the antidepressant, Paxil, at half the dose. She has testified multiple times before the FDA and congressional subcommittee members on antidepressants. May of 2013 she testified, along with other experts, before the Danish Parliament on the brain damage produced by antidepressants. Since 1992 she has testified as an expert witness in Prozac and other SSRI related court cases around the world. 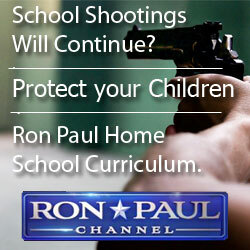 Some of the more high profile cases she has worked on would be the murder/suicide of comedian Phil Hartman and his wife Brynn, the Columbine & Red Lake School shootings, Andrea Yates – the Texas mother who drowned her five children, the Atlanta Day Trader, Princess Di’s death, the murder/suicide of the royal family of Nepal, Anna Nicole Smith’s son Daniel’s death, etc. 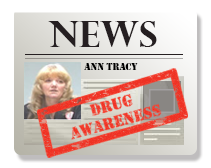 Ann Blake-Tracy will amaze you with documentation as to how often these drugs have lurked silently behind the scenes of major headlines worldwide!! To get an idea of how often and the types of reactions we are seeing in the news go to www.drugawareness.org for breaking news cases and www.SSRIstories.NET for our database of thousands of articles on patients on these drugs and the adverse results appearing as headlines which Ann Blake Tracy along with many of our directors over the years have been gathering since 1990. Then our Texas director, Rosie Meysenburg, along with her husband Gene, began to post the stories into an online database in 2006. With only a handful of individuals gathering the cases it should be clear that this shocking list is only the tip of this iceberg of horrifying antidepressant-induced nightmares! 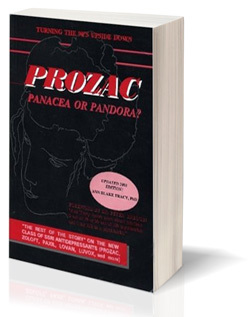 Ann’s first book on the issue, The Prozac Pandora, was published in 1991. That book was expanded to nearly 500 pages published in 1994 with the title Prozac: Panacea or Pandora? The third edition, Prozac: Panacea or Pandora? Our Serotonin Nightmare! came out in 2001 and the e-book was expanded into the latest version in May of 2014. What scientists are just now learning about these drugs she spelled out in her writings years ago. She has participated in innumerable radio, television, newspaper and magazine interviews since 1990.
many, many years of intensive research, and the cases of thousands of patients on a long-term basis. 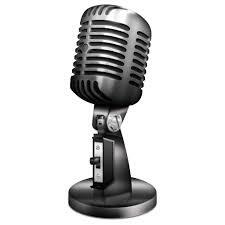 Ann Blake Tracy also has an hour and a half long audio tape and/or CD, “Help! 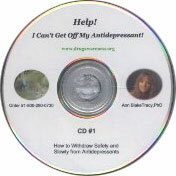 I Can’t Get Off My Antidepressant!,” which explains the safest withdrawal methods from these antidepressants discovered via trial & error over the past two decades and how to rebuild the body and brain after the use of these drugs – the product of many years working with patients in withdrawal from antidepressants and patients with serious adverse reactions to antidepressants. Ann has appeared on or consulted for television presentations for FOX News, both local and national, Court TV, the History Channel, CNN, PBS programs, Dateline and 20/20, the Geraldo Show, the Leeza Gibbons Show, the Montel Williams Show, the Maury Povich Show and numerous local news programs. She has also appeared on many national and international radio shows over the past 20 years such as NPR, Coast to Coast, the Jeff Rense Show, the Charlie Jones show – Dallas Overnight, and the Alex Jones Show. Internationally she has appeared in the US, Canada, Finland, UK, Russia. Ireland, and is currently working on one in Germany and another in Australia. Ann has also appeared in two major film documentaries released the end of 2005, The Drugging of Our Children, by award-winning documentary filmmaker Gary Null, which contains interviews with Michael Moore and Neil Bush agreeing on the subject of the horrors of giving our children drugs; (This movie is available in its entirety athttp://youtu.be/26e5PqrCePk and the movie Prescription Suicide, a look into the lives of families who experienced firsthand the tragedy of antidepressants, produced by five-time Emmy Award winning Hollywood producer Robert Manciero. She has also done an interview for the sequel to American Addict, which was the number one movie on Netflix for several months in the Spring of 2014, with the new movie titled American Addict 2, The Big Lie, premiering in mid July, 2015. 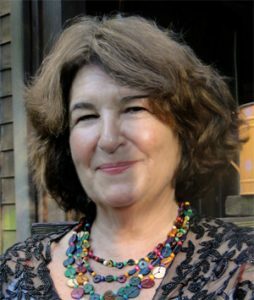 Candace Pert, the discoverer of the binding assay for drug receptors which made Serotonin Reuptake Inhibitors possible, joined our board in 1997 where she served until her far too early passing in September of 2013. Dr. Pert was an internationally recognized pharmacologist who published over 250 research articles and was a significant contributor to the emergence of Mind-Body Medicine as an area of legitimate scientific research in the 1980′s. Dr. Julian Whitaker, founder of the Whitaker Wellness Institute, is one of the country’s foremost advocates of healing through diet, exercise, lifestyle changes, and the principles of orthomolecular medicine. He preaches to an ever-growing audience through his clinic, newsletter, books, lectures and now his web site, drwhitaker.com. Today over half a million subscribers, disenchanted with the failures of conventional medicine, rely on his newsletter, Health & Healing, for news about safe and effective alternatives. 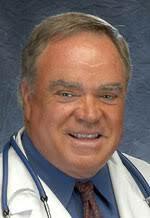 Graduated from Dartmouth College in 1966, Dr. Whitaker earned his medical degree at Emory University Medical School in Atlanta in 1970, and completed his internship at Grady Memorial Hospital, also in Atlanta. Dr. Kevin Millet, DC Dr Millet, who himself was able to overcome hyperactivity, depression, compulsive behavior and suicidal tendancies through nutrition, is currently the director of Total Wellness. Total Wellness is a wholistic center near Salt Lake City, Utah. He conducts seminars throughout the United States to health practitioners in applying nutrition and other wholistic methods to regenerate the entire body, including the brain and endocrine system. 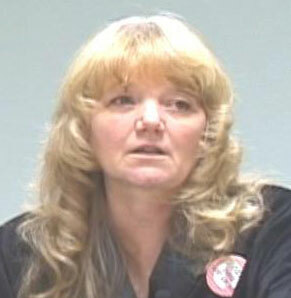 Has presented at the National Institutes of Health, medical legal conferences such as the American Trail Lawyers Association, was host of her own radio talk show “NurseTalk Radio-The Truth in Health Care”, and has guested on over 1500 radio and television shows, including Art Bell, Chuck Harder and Michael Reagan. Served as a Captain in the United States Air Force and flew on C-130 missions in support of Operation Desert Storm. She now serves as spokesperson for the American Gulf War Veterans Association whose purpose is to provide education and information for the Gulf War veterans and their families and to seek treatment for the illnesses that thousands of Gulf War veterans now suffer from. Bradford S. Weeks, M.D. 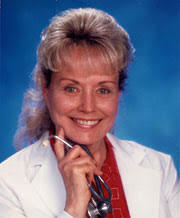 is a medical doctor whose practice welcomes people all ages suffering with all illnesses. He offers conventional, as well as complementary, medical and psychiatric care. Dr. Weeks’ approach is biochemical in nature. That means he works to correct your underlying biochemical imbalances which create your illnesses and pain, rather than to simply offer you various synthetic drugs designed to suppress your symptoms. 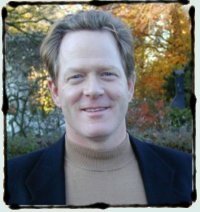 Mark M. Miller, Started the ICFDA Web Site. 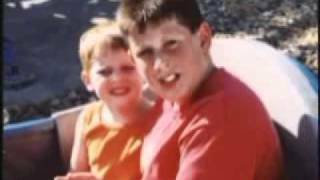 Mark and his wife Cheryl lost their only son, 13-year old Matt, to a Zoloft-induced suicide in 1997. Since then, Mark has been serving as the organization’s Regional Director in Kansas and developed the Original ICFDA website to help connect survivors and educate others about the dangerous and often deadly side effects of prescription medications. His efforts have clearly saved the lives of many!